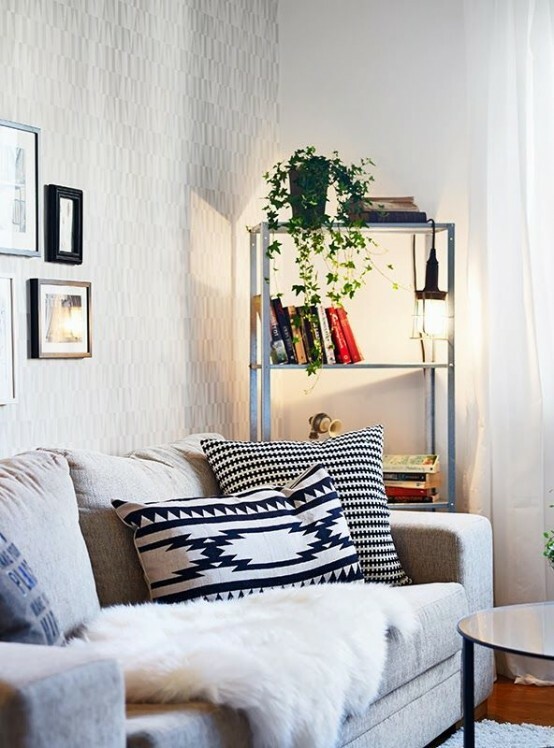 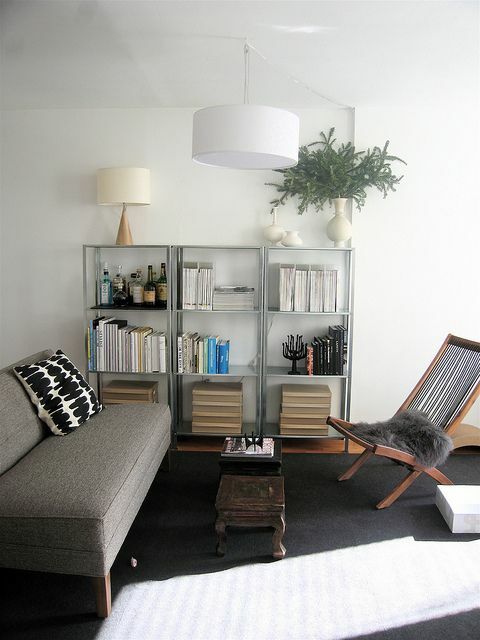 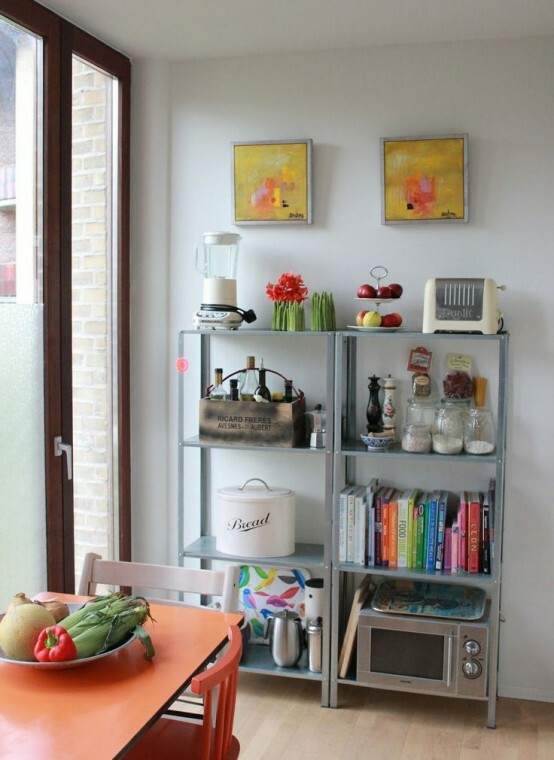 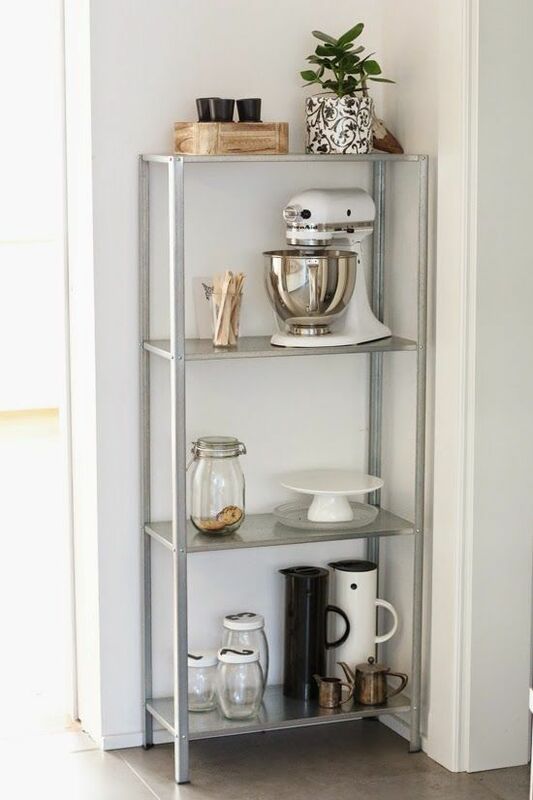 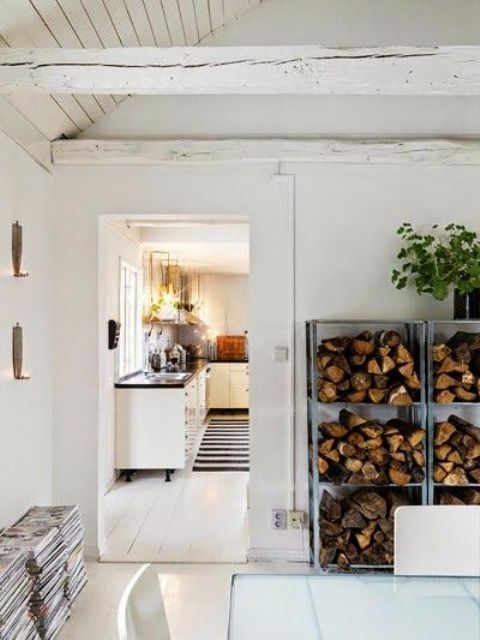 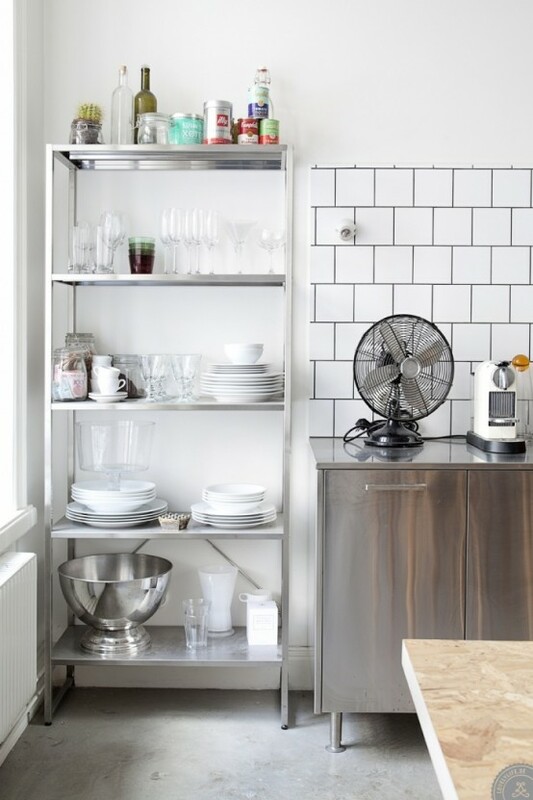 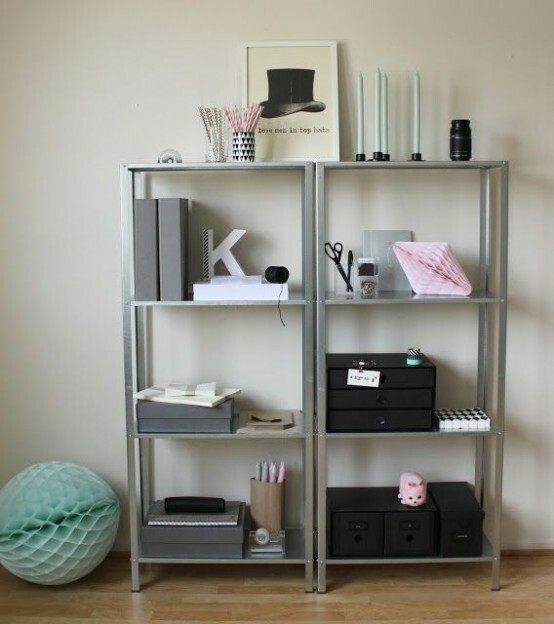 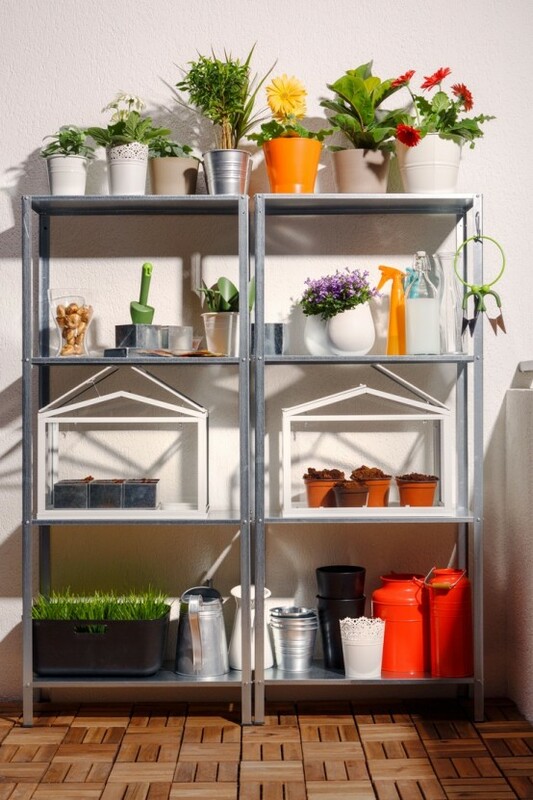 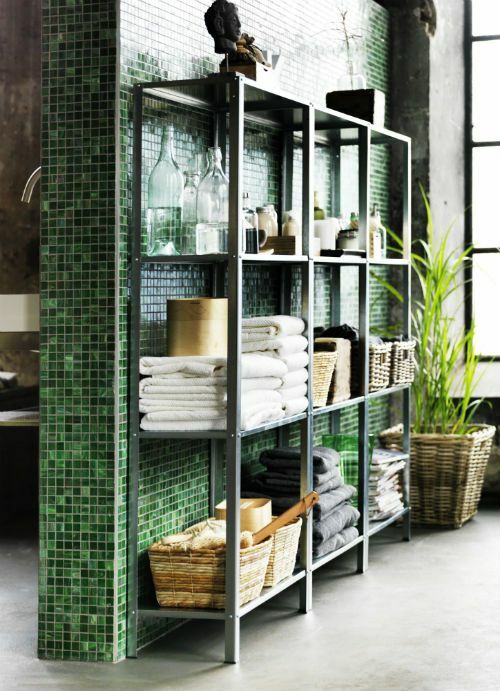 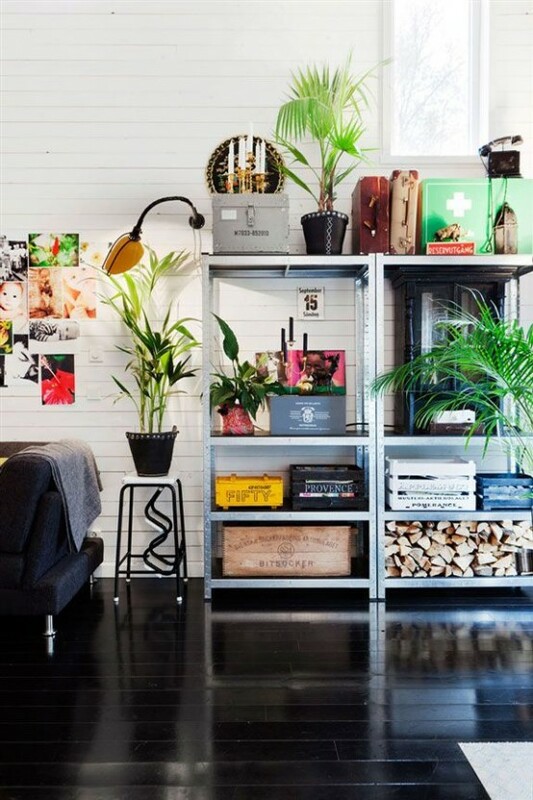 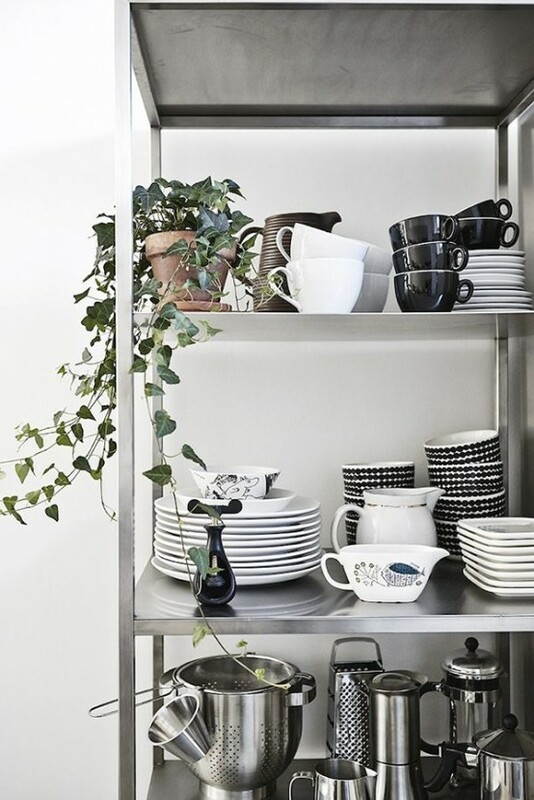 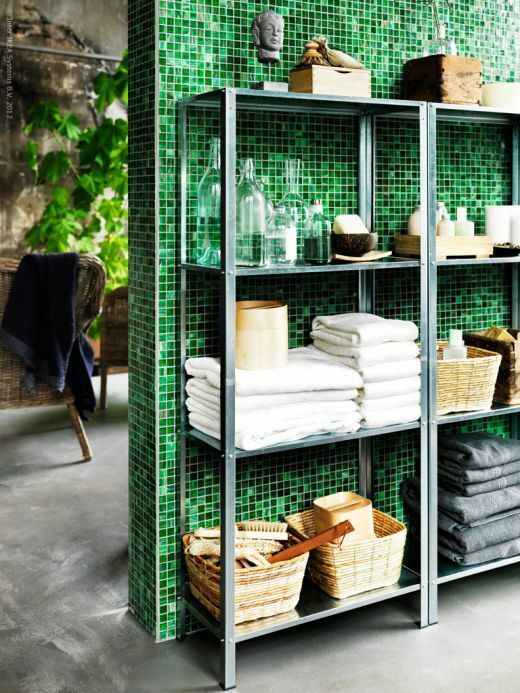 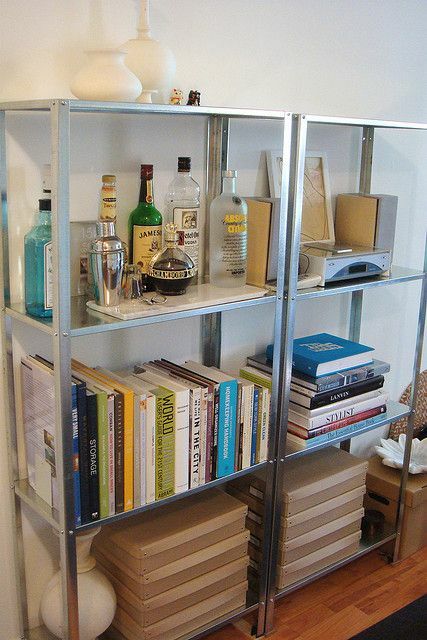 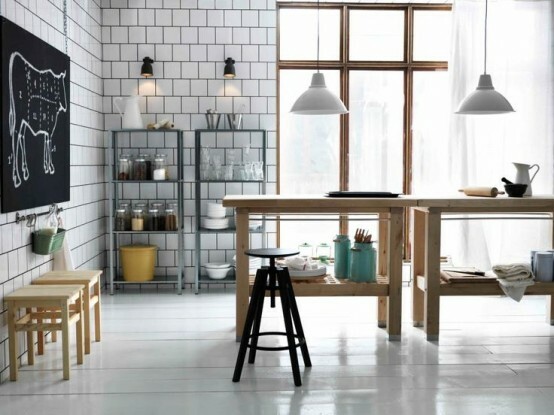 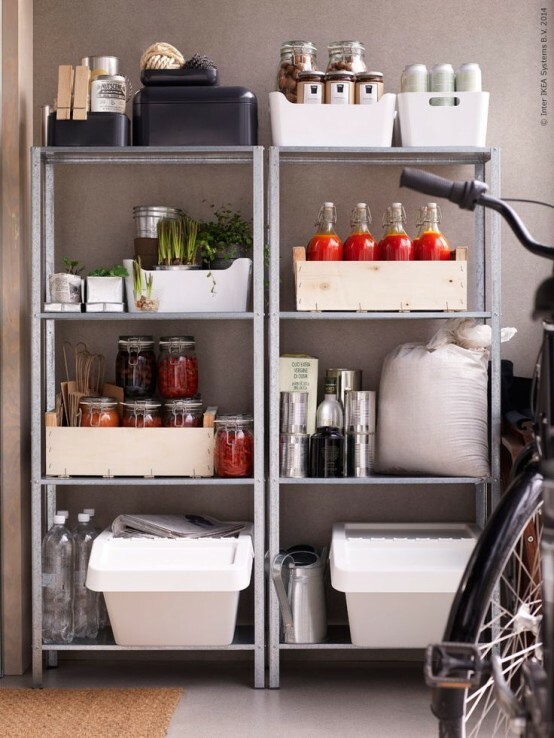 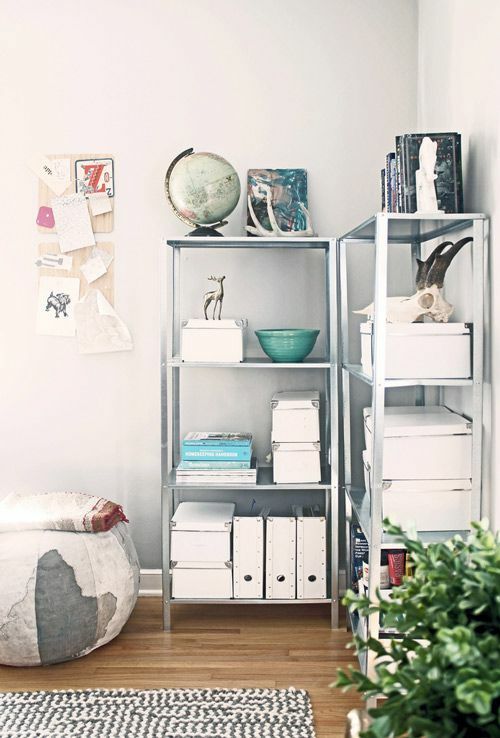 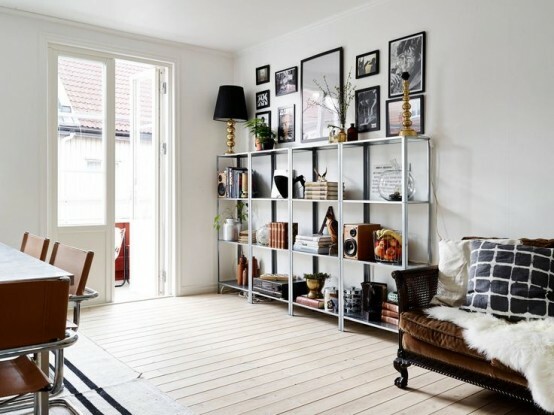 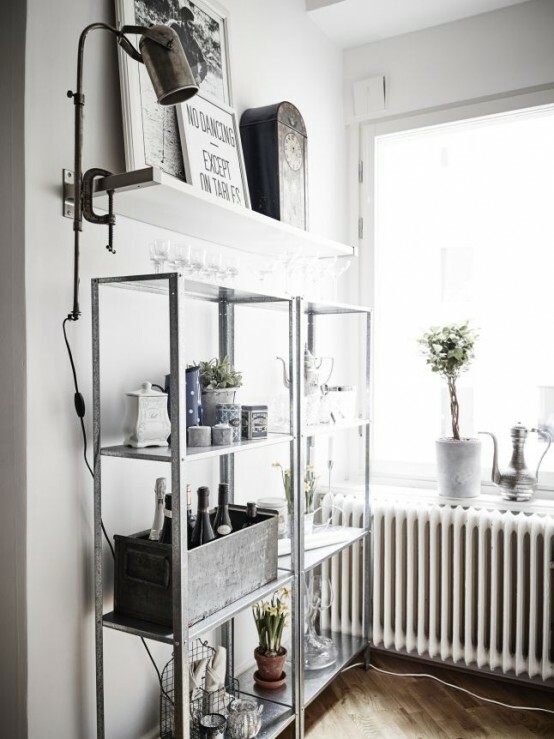 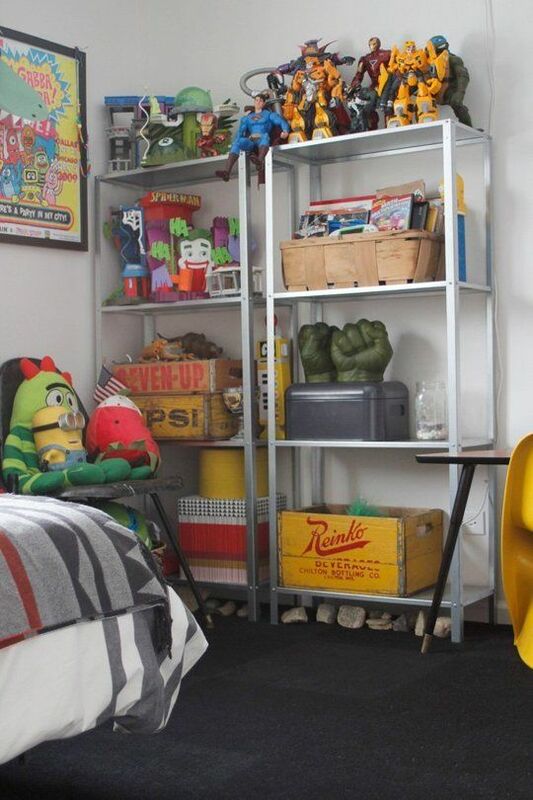 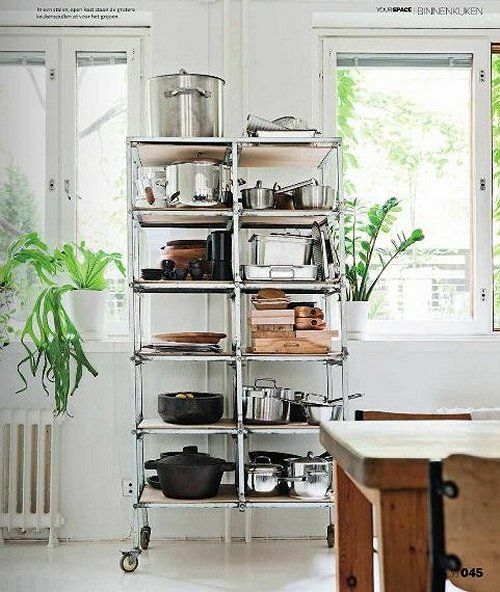 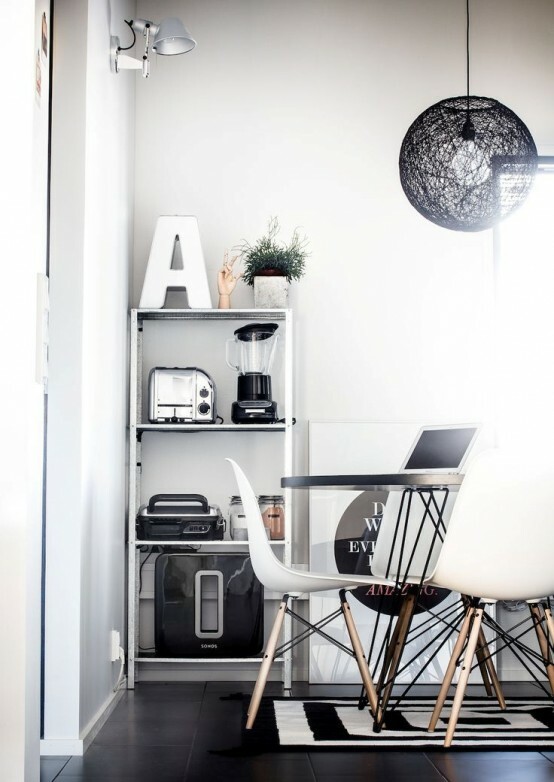 IKEA Hyllis is a cool shelving unit that can be used in many modern spaces, indoors and outdoors. 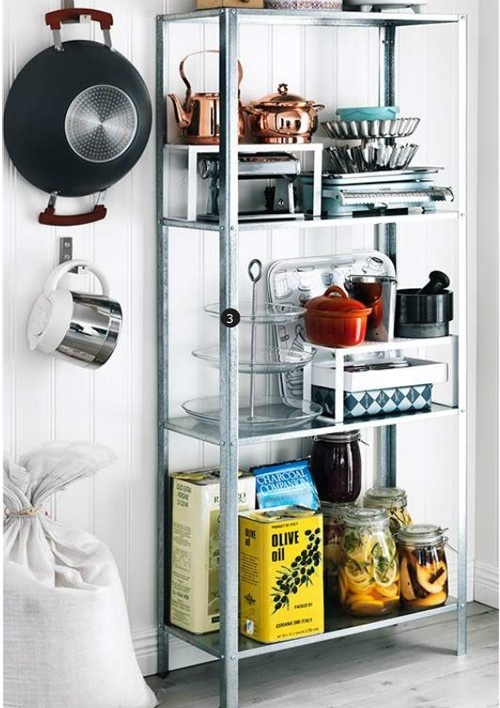 It must be fastened to the wall, and the back panel has predrilled holes to make it easier. 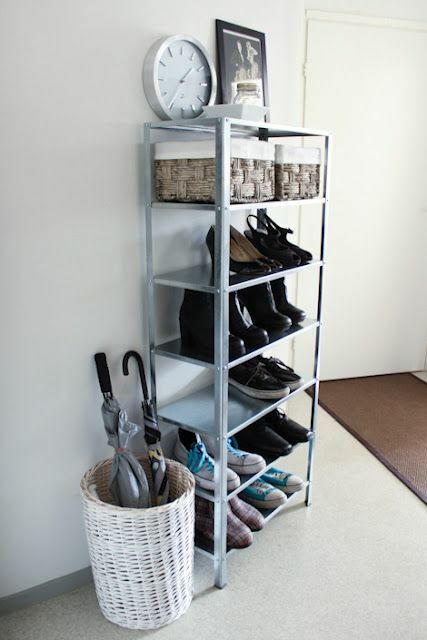 The included plastic feet protect the floor against scratching. 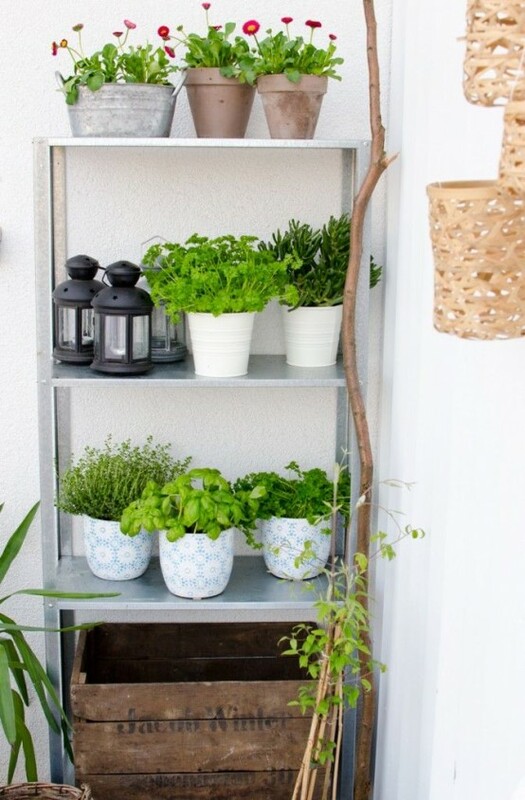 Actually, you can use it everywhere: in a kids’ room, in a kitchen, in a home office, in a living room, even in your garden shed. 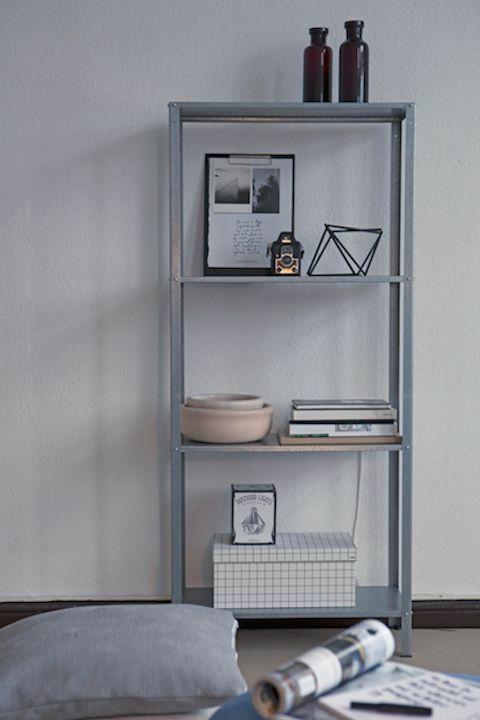 It’s ideal for storing books, tableware, various accessories and even firewood. 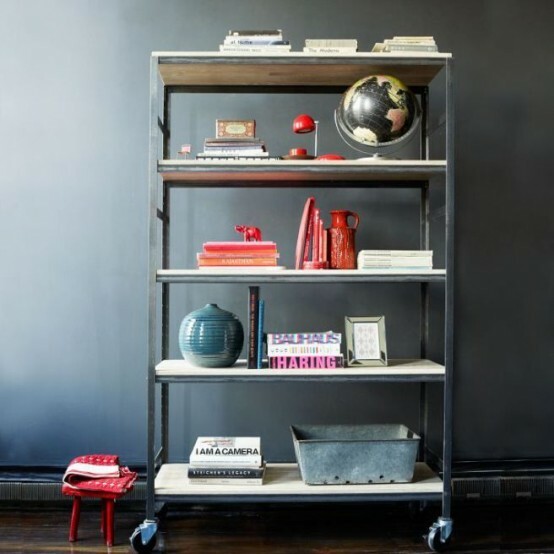 The piece is very functional and durable because it’s made from metal. 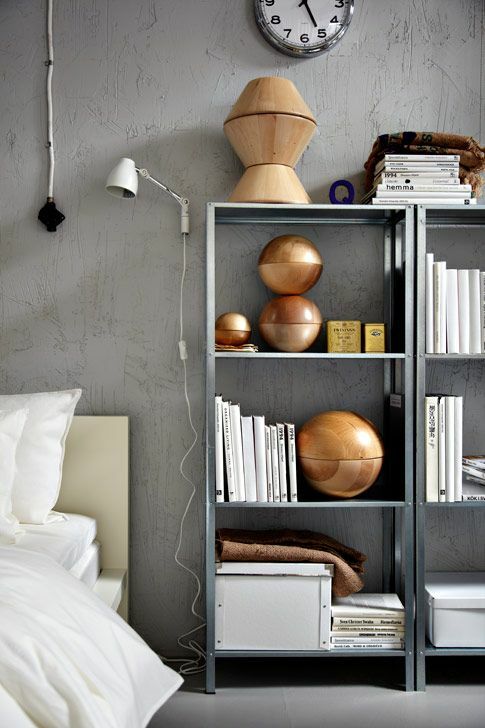 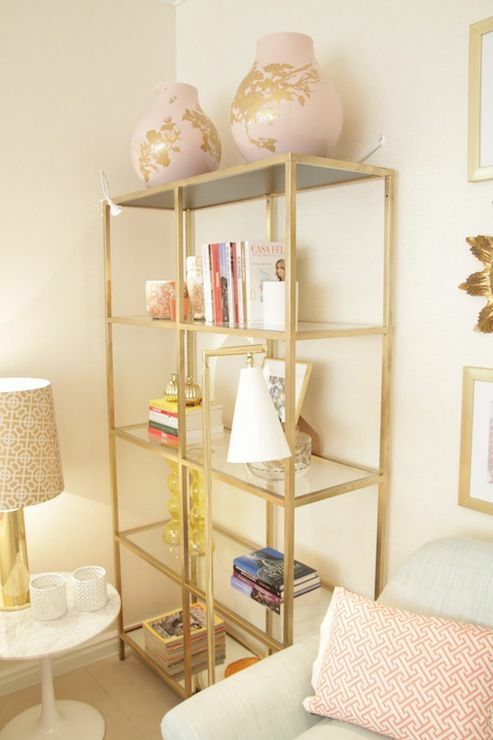 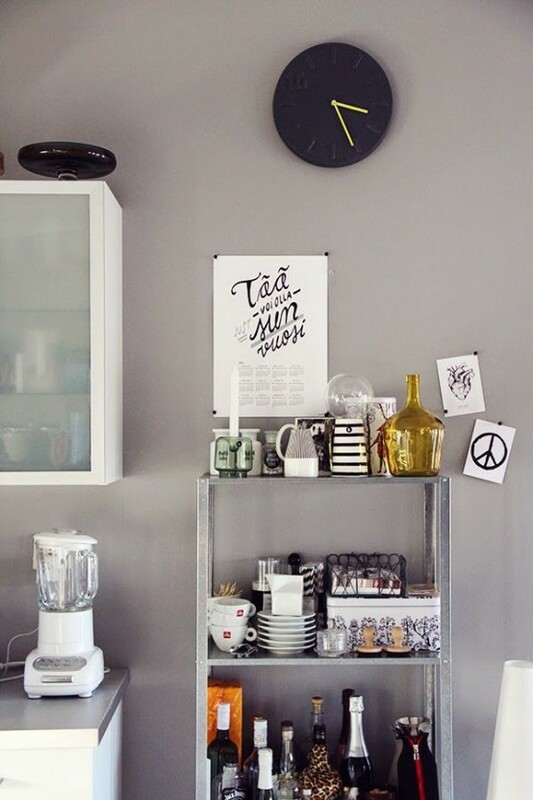 You can spray paint it if you like, or leave it as it is, just do what’s more harmonious for your space.